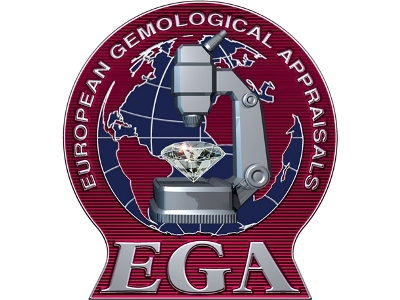 E.G.A., European Gemological Appraisals, is a sister company and an exclusive consultant to E.G.L. Platinum. E.G.A. 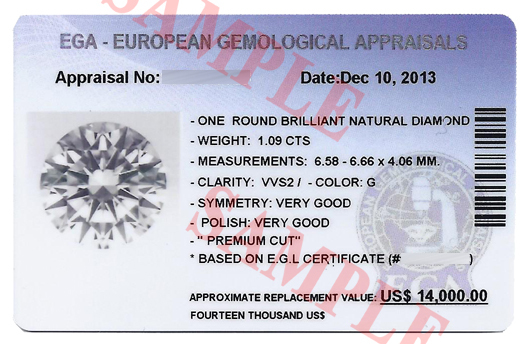 offers appraisal certification for gemological reports, issued by E.G.L. 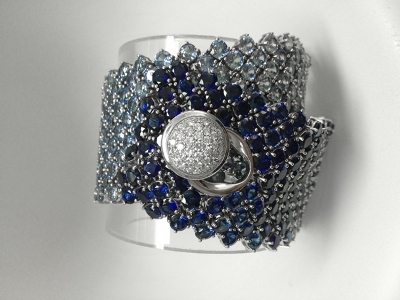 Platinum laboratories, for diamonds, precious stones and mounted jewelry. The evaluation and certification work is carrying out by E.G.A. senior gemologists with the assistance of expert consultants within the trade and leading gem-pricing systems. E.G.A. 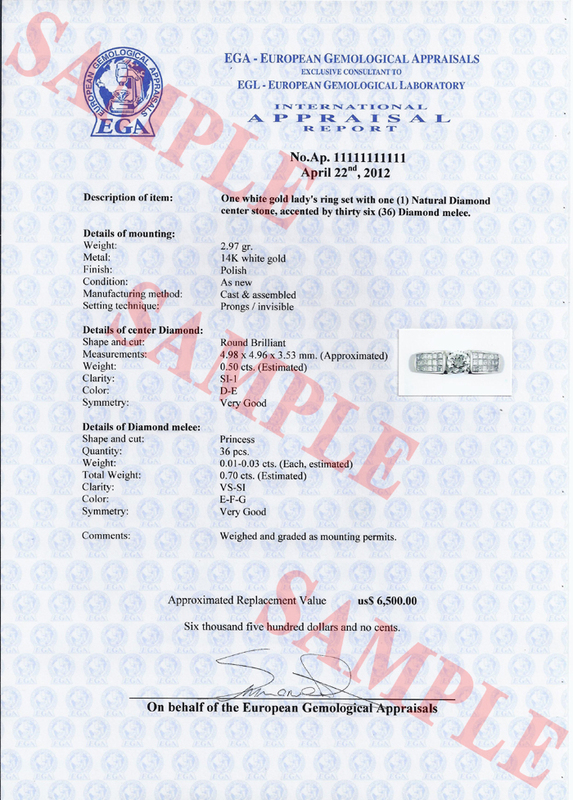 's appraisal certificates are worldwide recognized and being used as official documents for acquisition reliability check, inheritance or attached (by a lien) items assessment, identification and grading, and valuation. E.G.A. Customers include the Israeli police investigators, court system, executors, receivers, insurance appraisers and the public. For more information about E.G.A. Appraisal reports, click here.